The country is scared. And Hillary Clinton will try to show she can keep the nation safe. The Democratic presidential candidate is set to give a speech Tuesday to explain how she would protect Americans at a time when their fears about a domestic terrorist attack have soared after attacks in Paris and San Bernardino. But the former secretary of state is walking a delicate balancing act between a Republican presidential field that is proposing an aggressive and sometimes controversial response to fight ISIS and the policies of President Barack Obama. Clinton's four years at the top of the Obama foreign policy team has tied her to her former boss but he losing trust among Americans that he can keep them safe. So far in the campaign, Clinton addressed those challenges by talking tough while not proposing a wholesale departure from the president. She has worked to appeal to the large number of independents who want a more aggressive response to terrorism without alienating Democrats who support the president's strategy. 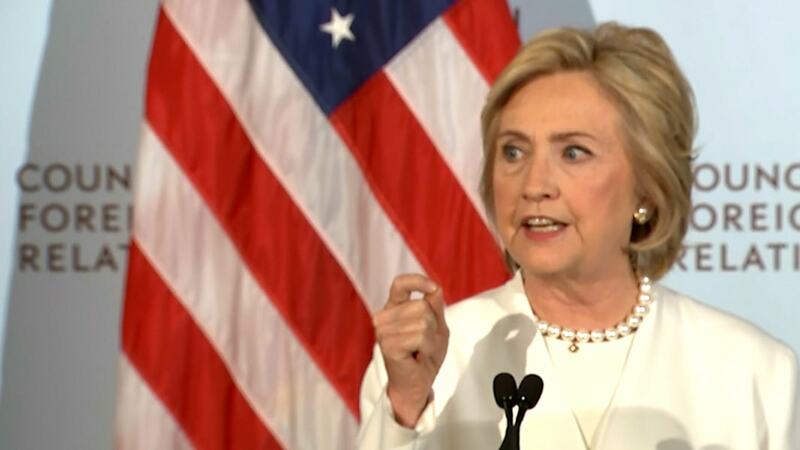 According to a preview of the speech released by her campaign, Clinton will lay out her plans to protect the country from a terrorist attack from both foreign- and domestic-born terrorists. "The strategy will address the threat of domestic radicalization and demonstrate her belief that the most effective plan stays true to America's most deeply held values, such as inclusiveness and religious freedom," her campaign said about the speech, which will be delivered at the University of Minnesota. While Clinton supports many of the president's policies, she clearly and unabashedly distances herself from some of them, and on those policy differences she proposes a more aggressive military stance. In her 2008 presidential run, Clinton's vote to authorize the use of force in Iraq thrust her into a foreign policy argument with Obama, then an idealistic senator who opposed the War and defeated her in a primary contest that was decided by war-weary Democrats. Eight years later, Clinton maintains that her vote for the Iraq war was a mistake. Now, foreign policy -- and the potential for the use of military force -- has surfaced as a major issue for Americans just seven weeks before the Iowa caucuses. Polls show that terrorism has become one of the most important issue to voters – a dramatic shift for now after eight years of voters putting the economy atop that list. A new NBC News/Wall Street Journal poll released Monday found that 40 percent of respondents said that terrorism and national security are the number one issues, up from 29 percent in April. As his former secretary of State, she is embracing many of the president's policies. 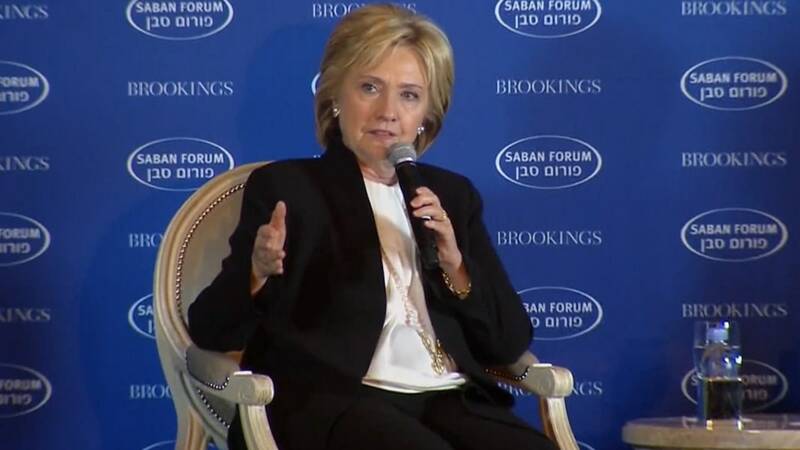 In a speech at the Brookings Institution’s Saban Forum Sunday, Clinton laid out many of the same proposals as Obama did in an address to the nation later that evening: using air and regional force to take out ISIS, provide equipment to allies in Syria and Iraq and cut off the group's financing. They both also warned against referring and playing into the idea that the fight against ISIS is “a clash of civilizations,” an idea that ISIS wants to enhance their recruitment and show that the end of times is near. Clinton lunched with the president a day after his national address last week to chat, in part, about terrorism. But she refrained from publicly responding to the president's address. While Republicans panned his remarks and her Democratic challenger, Bernie Sanders, said Obama's strategy was "right," Clinton said nothing to the press or on social media, instead talking about Wall Street reform. But Clinton has a history of at least sounding more hawkish than the president and has been unafraid to highlight differences between them. In her book “Hard Choices,” detailing her time as Secretary of State and making her positions clear ahead of a presidential run, Clinton wrote extensively on her foreign policy stances. She wrote about how she advocated involvement in Syria’s civil war by arming and training “nonextremist” groups there, a position President Barack Obama didn’t support. Clinton’s tone is also stronger than the presidents – something that Obama has been criticized for and leads people to call him weak. Clinton’s rhetoric is stronger in other ways too. She said on ABC’s “This Week” Sunday that the U.S. is “not winning” the fight against ISIS. And in an interview with Chuck Todd on MSNBC recently, Clinton said the U.S. effort to train troops in Syria has “failed.” And in her speech Sunday at the Saban Center, just hours before Obama defined what the U.S. is doing in an address to the nation, Clinton implied that the U.S. is not doing enough. “The need for action is urgent,” she said. In the areas that Clinton separates herself from the president, she positions herself closer to the Republicans. No candidate in the field – Republican or Democratic – has more foreign policy experience than Clinton. Even Republicans admit it. Marco Rubio said at a Republican debate that "this election cannot be a resume competition," Rubio said. "Clinton will win,” if it is, he said. 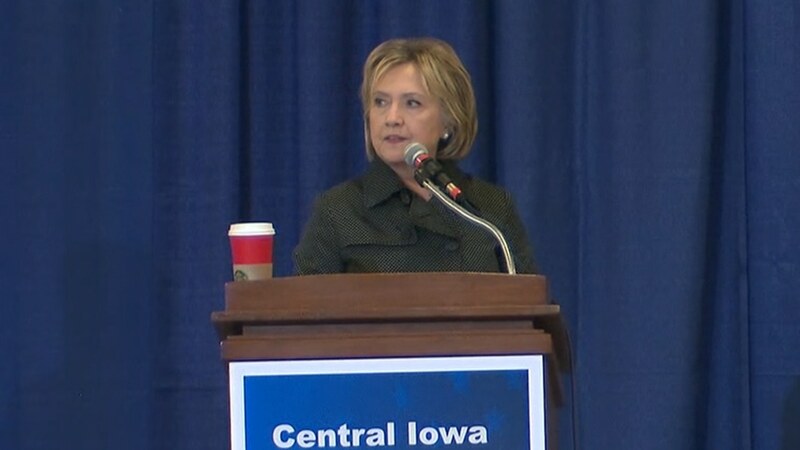 Republicans counter Clinton's experience by linking her to Obama. They see this as a weakness and often tie Clinton to Obama, even suggesting that as his secretary of state, was the driver of his international agenda. GOP presidential candidate Jeb Bush wrote in an opinion piece that "Clinton was an architect of the Obama foreign policy" and Donald Trump said on Fox News Sunday that Clinton "killed hundreds of thousands of people with her stupidity." By tying Clinton to Obama, they are appealing to the nearly six and ten respondents who don't approve of the president's handling of foreign policy, according to a new NBC News/ Wall Street Journal poll. They are also responding with their own aggressive and sometimes controversial responses to terrorism. Some have proposed U.S. ground troops in Syria or a moratorium on refugees and immigrants coming from Muslim nations, and Donald Trump proposes to bar all Muslims from coming into the U.S.
Clinton's team is confident that she can successfully create the appropriate niche that voters will want. Jake Sullivan, Clinton's top and long-time adviser on foreign policy, said foreign policy “is going to be a major strength" for Clinton. "She has demonstrated that she has not only the strength and unyielding resolve to stand up to our enemies, but also the depth of knowledge and judgment to wield American leadership wisely."